The search for the coveted title of Longford's All Time Great started out with sixteen outstanding personalities and the race is now down to four following the completion of the quarter-final voting. Similar to the Longford All Time Greats Round of 16, the quarter-final vote produced some surprise outcomes, with former Taoiseach Albert Reynolds succumbing to Padraic Gearty. Cystic fibrosis campaigner Jillian McNulty was a resounding winner over Oliver Goldsmith, while Marguerite Donlon and Ray Flynn will complete the semi-final line-up after their triumphs over Maria Edgeworth and Sister Calasanctius, respectively. 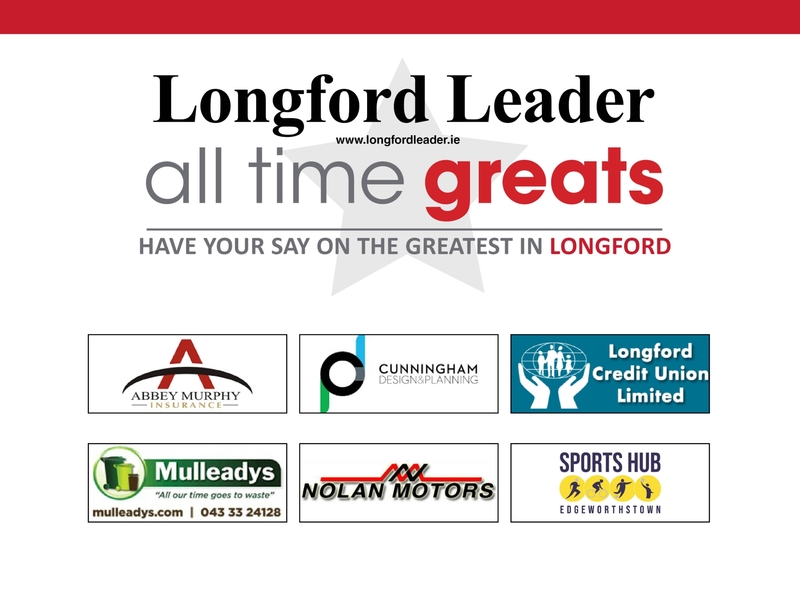 There has been a great response from the public to the search for Longford's All Time Great and a huge thanks to everyone who voted so far. The semi-final pairings will be announced on Friday evening, February 8, and polls in the semi-finals will open over the weekend so don't forget to have your say and cast vote! Voting closes in the Semi-finals on Sunday, February 17 at 12 midnight.